We write as the Executive Director and Senior Researcher, respectively, at AAPI Data—the leading repository for data on Asian Americans and Pacific Islanders in the United States. We are also professors with over four decades of collective experience with original survey data collections on Asian American and Pacific Islander (AAPI) populations and analyses of demographic and administrative data collected at the national and state levels. Our research findings, as well as those in dozens of other studies, have shown that there are critical differences in life chances among Asian Americans and Pacific Islanders that track by detailed origin. Thus, for example, Southeast Asian refugee populations have a distinct set of mental health needs that derive from wartime experiences of individuals and family members. Also, population health risks such as chronic Hepatitis B, childhood obesity, and cardiovascular disease vary significantly by detailed Asian origin. 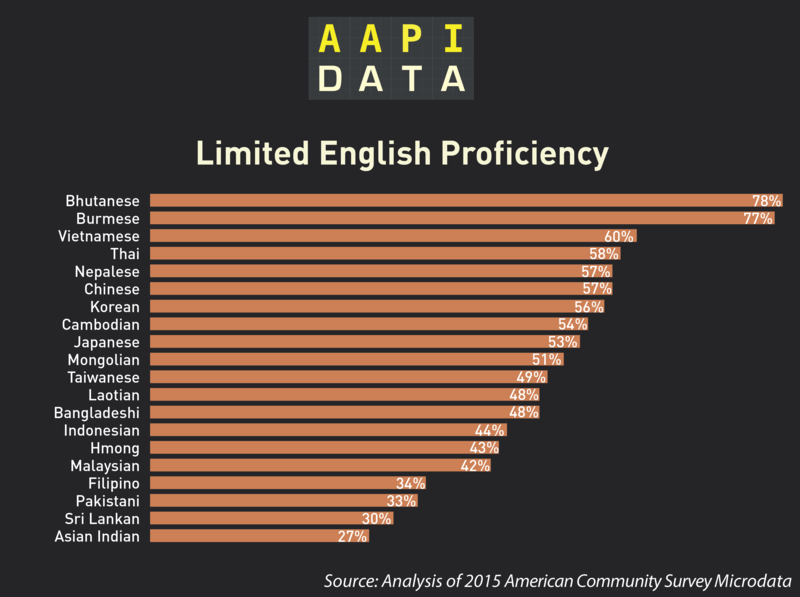 Importantly, language needs also vary dramatically by Asian detailed origin, with some groups such as Indian Americans and Filipino Americans having relatively high levels of English proficiency, and other groups such as Vietnamese, Chinese, and Korean Americans have the relatively low levels of English proficiency. 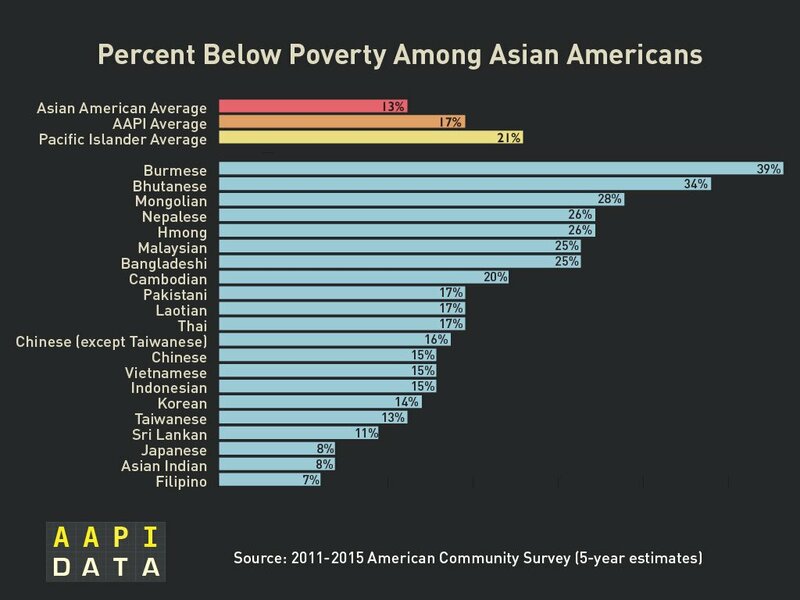 Data disaggregation is critical to understanding the needs of our diverse AAPI population. This is true, not only for national-level data collections such as the U.S. Census and American Community Survey, but also with respect to state and local data collections. For example, American Community Survey data on language needs are based on a relatively small sample of the total U.S. population, and they are unable to provide language proficiency data by Asian detailed origin at the level of county or municipality in states like Massachusetts. In a similar vein, state and local administrative data on social service utilization require more detailed ethnicity information in order to better serve Asian American populations. The strong correlation between detailed origin, English language proficiency, and language spoken at home makes detailed origin data collection critical for effective and efficient delivery of public services to Asian American populations. More accurate data help to prevent inaccurate stereotypes about Asian American groups and the potential for policies to reflect these faulty stereotypes. For example, data from the 2010–2014 American Community Survey 5-Year Public Use Microdata Sample analyzed by the Institute for Asian American Studies at the University of Massachusetts Boston reveal that the median household income of Chinese in Boston was slightly lower than that of Vietnamese in Boston. Despite an assumption that Chinese in Boston are economically secure, many face economic challenges. These detailed data allow government agencies and lawmakers to better understand how to most effectively and efficiently provide services to AAPI populations. Most cities and counties in Massachusetts do not have large enough populations to enable this kind of analysis using federal data collections such as the American Community Survey. 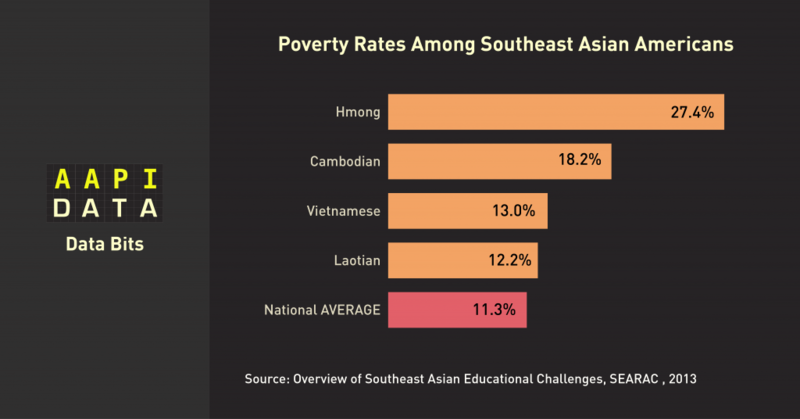 State and local data collections of detailed Asian origin are critical to fill these gaps, and to help formulate and implement policies that benefit local populations. It is also critical that such data be collected and disseminated in a manner that protects individual privacy and ensures data security, consistent with safeguards on other types of state and local administrative and survey data collections. For the last three decades, Asian American & Pacific Islander community leaders, elected officials, researchers, educators, and students have called for more, not less, information on AAPIs. The call for detailed data emerged most powerfully after 1965, when the United States ended its restrictive quotas by national origin. As the AAPI community grew, government agencies, schools, and the larger population failed to distinguish between different national-origin and ethnic groups, with distinct histories, experiences, and social needs. This lumping resulted in inadequate recognition of the unique challenges among different ethnic groups in the Asian American population. We are at a critical time given potential changes and challenges associated with Census 2020. We urge you to take the first step in making Massachusetts a national leader by supporting House Bill 3361 in this legislative session.